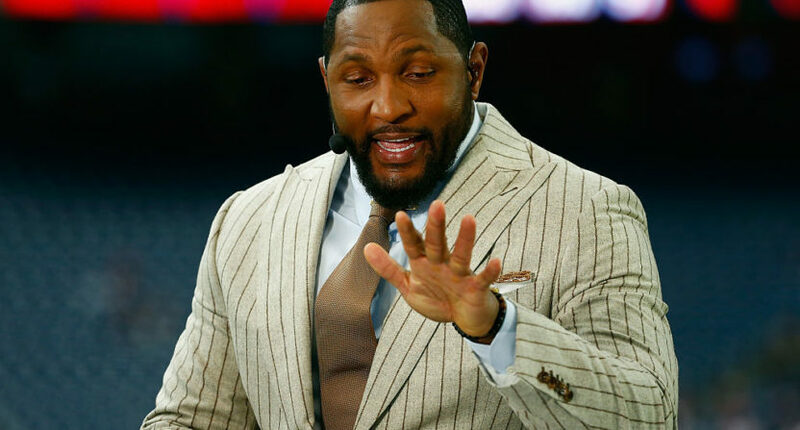 Ray Lewis finds himself with two TV employers after a full season with a full-time gig. Ray Lewis spent the last NFL season without a television role after a three-year stint with ESPN. Now it looks like he’ll be doing double-duty. Awful Announcing has learned that the former Baltimore Ravens linebacker will be joining Showtime’s Inside the NFL. Asked for comment, Showtime Sports confirmed the hiring. Just last month, Fox announced Lewis’s addition to Fox and FS1 as a NFL analyst. It’s not clear how much this will impact Lewis’s work with Fox and FS1. The smart thinking is he’ll continue to do some work for the network, but likely in a reduced role considering Inside The NFL tapes in New Jersey and most of Fox and FS1’s operations are in Los Angeles. Lewis will slide in to replace Brandon Marshall, who has spent the last three years serving as a analyst, an opportunity his last two employers (the Chicago Bears and New York Jets) accommodated. Marshall’s new team, the New York Giants, often practice on Tuesdays when Inside the NFL tapes which necessitated the show needing to retool for the upcoming season. It’s possible Marshall could still have some level of involvement going forward, depending on his availability. This is an interesting move on both sides as Lewis hadn’t really settled into his role at Fox, which you can glean at this point was not exclusive, and probably wasn’t as comprehensive and lucrative as Lewis would have liked now that he’s added this to his plate. For Showtime, it’s quite a bold and potentially risky move given Lewis spent a full season off of television and still has a share of vocal detractors stemming from his 2000 guilty plea to an obstruction of justice charge. Beyond that, Lewis didn’t exactly earn high marks in his three years at ESPN. He often seemed an octave off in terms of energy level from the rest of his colleagues. Viewers also noted that Lewis would often forgo commentary on teams’s offenses focusing primarily on defensive analysis, but was often hesitant to drill down beyond high-level observations. While Lewis didn’t mesh particularly well at ESPN, you could argue that maybe it wasn’t the best fit for him. He had little training prior to the very public facing role and almost the entirety of his work was done in a live environment and at different venues. Showtime seems to be optimistic that a highly formatted weekly taped studio show will be a much better fit for Lewis. Should Lewis find his groove on Inside the NFL, it would be interesting to see what type of shuffling, if any, Showtime would do if Marshall were to become available via retirement or signing with a new NFL team.